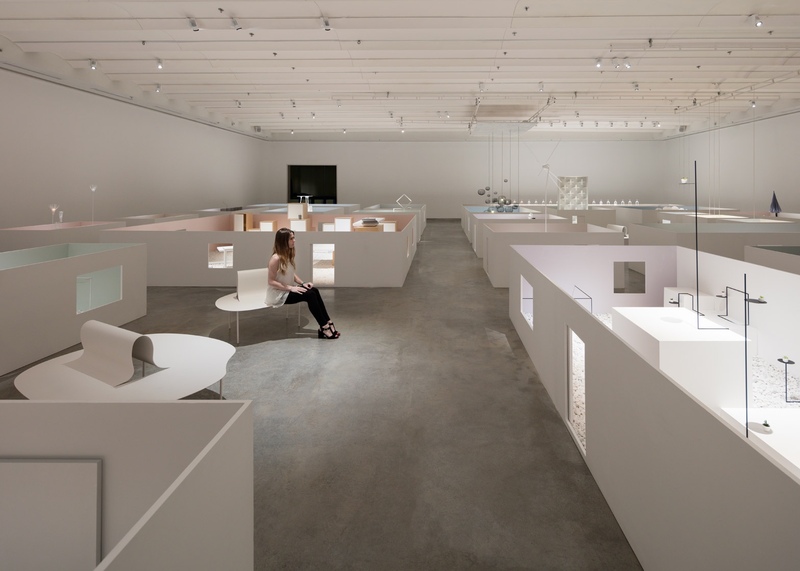 Nendo Retrospective Ponders "The Space In Between"
Oki Sato is an extremely busy man. 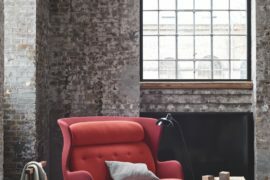 A self-proclaimed design addict, he is designing all day, every day (Source: Dezeen). Oki Sato was born in Toronto in 1977 and studied architecture at Wasoeda University, a private and independent research institute in central Tokyo. 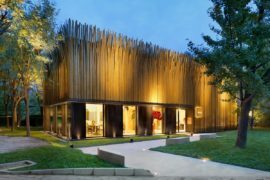 A trained architect, it was after a visit to the Salone del Mobile in 2002 that Sato made the decision to focus on product and furniture design. 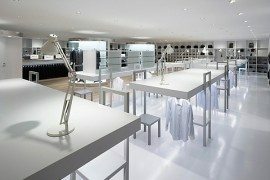 He founded nendo that same year and going forward, the studio’s work has drawn inspiration from the Japanese penchant for simple, unobtrusive and uncluttered design. The name nendo is roughly translated as a malleable type of clay, and is entirely apt for a studio that adapts and flexes to meet the needs of its various clients. Oki Sato at the Design Museum Holon. Photo by Shay Ben Efraim via Fine Art Magazine Blog. 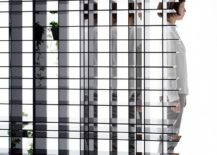 Today, nendo’s design repertoire has grown extensively, with projects covering architecture, interiors, branding, consulting, TV commercials and product design. 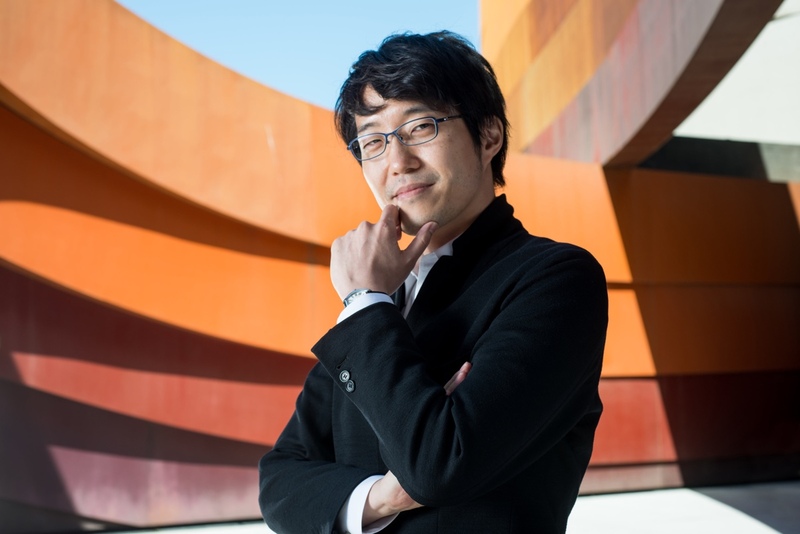 From a creative perspective, Oki Sato is interested in transforming how people interact with commonplace objects and design. He believes that form follows a narrative and that behind every object there is a story to be told (Source: Protein). nendo works hard to give people a small “!” moment, those points in time that make day-to-day life a little more interesting and fulfilling. Sato hopes that when encountering a nendo design, an individual will instinctively enjoy a little “!” moment. 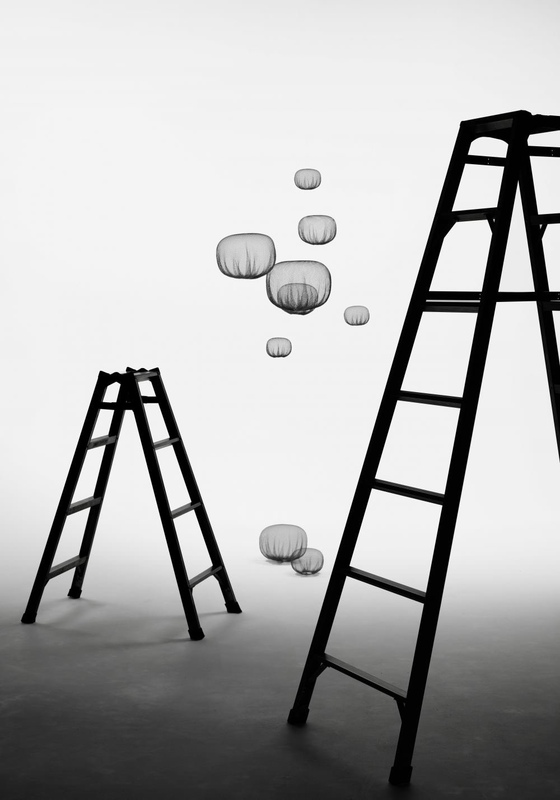 There is little doubt that Oki Sato and nendo have become a design world phenomenon. Both have won a great many awards and accolades, and nendo is featured in museum collections worldwide: from New York’s MoMA to London’s V&A, the Centre Pompidou in Paris to the Design Museum Holon. 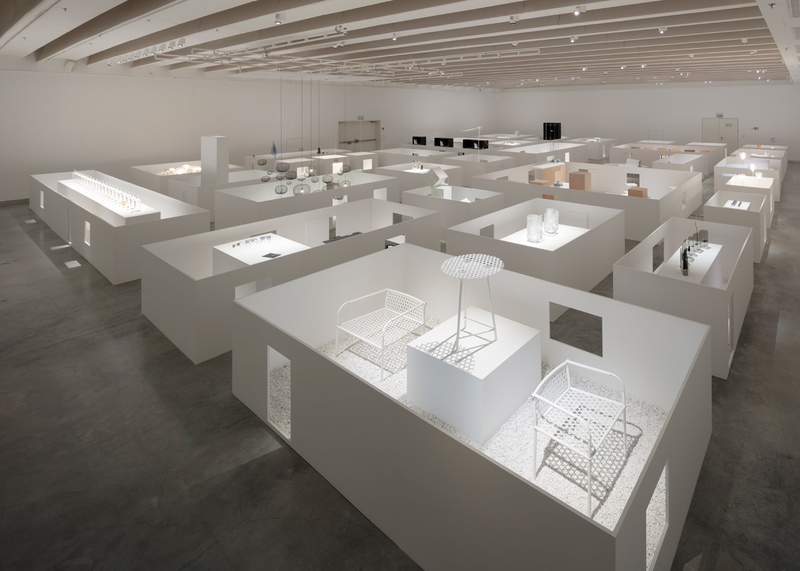 It is at the latter establishment, the Design Museum Holon in Israel, that nendo is currently enjoying its first large-scale retrospective. Titled “The Space In Between“, the exhibition features examples of nendo’s works from the design studio’s beginnings up to the present day. 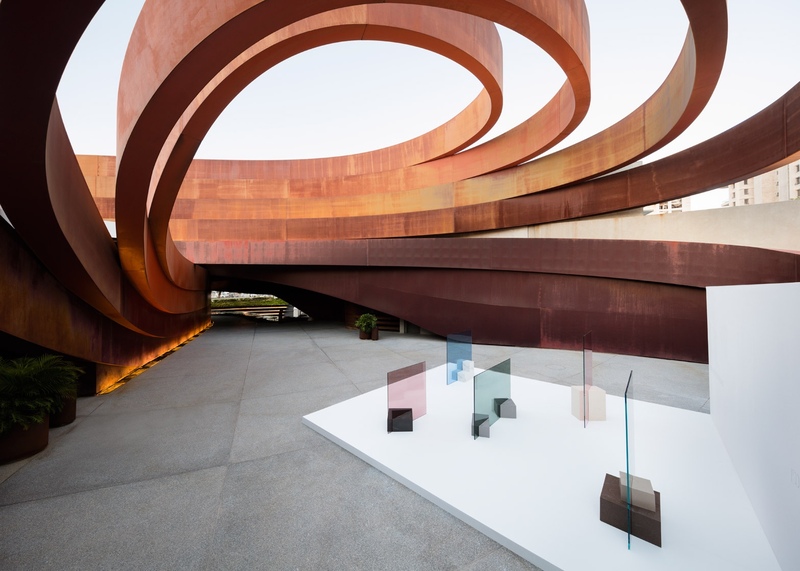 The retrospective extends from the Design Museum Holon’s interior to its grounds, with the intention of offering an all-embracing, thought-provoking and immersive experience. The first museum in Israel dedicated to design, the Design Museum Holon is housed in a stunning structure that was created by the acclaimed Israeli architect Ron Arad. 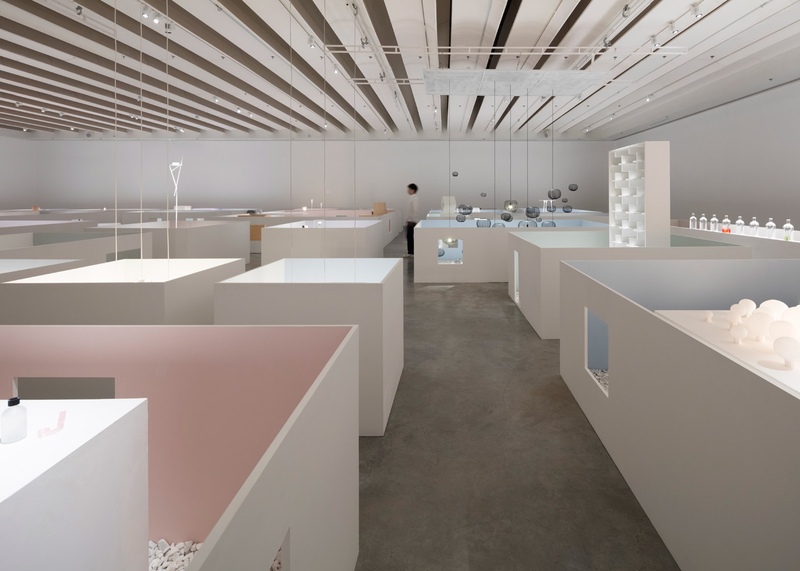 The exhibition, designed by nendo and curated by Maria Cristina Didero, invites the visitor to observe at close range the quintessence of contemporary Japanese design. “The Space In Between” at Design Museum Holon. Photo by Takumi Ota via Dezeen. 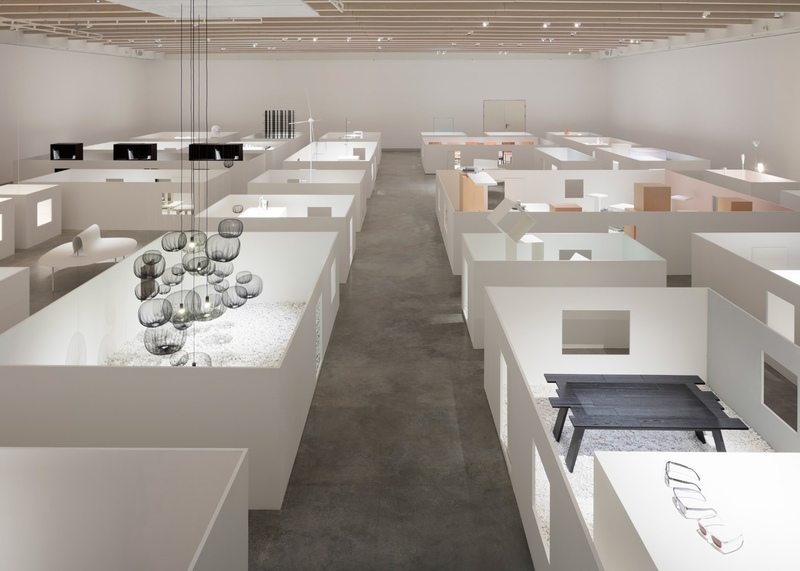 The nendo retrospective addresses the challenges and associated solutions the studio has faced when working with different categories of object and their unexplored areas. Maria Cristina Didero makes the (somewhat convoluted) observation:”This presentation investigates the only space in which Sato could not intervene, the space in-between… [asking] what is in-between, what is un-design and the carefully calculated operative-area left to light and air[? 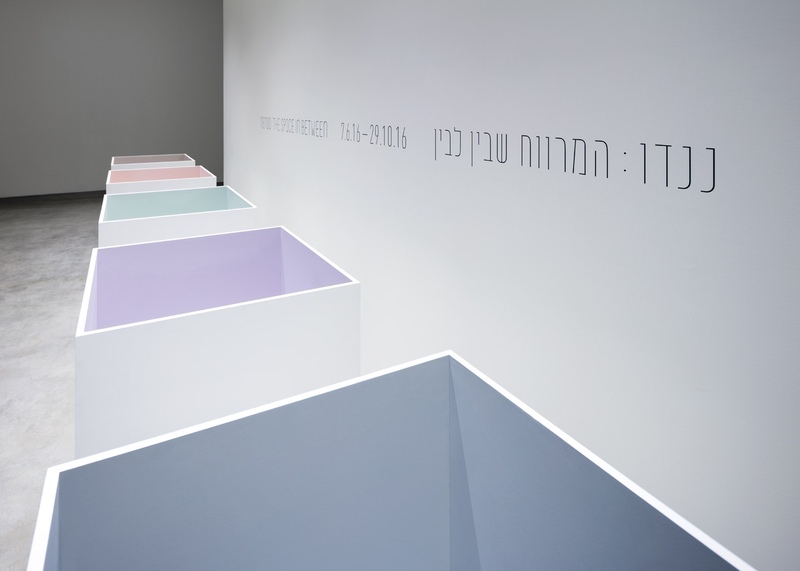 ]” (Source: Design Museum Holon). 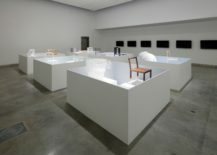 No fewer than seventy of nendo’s works, divided into six categories of “spaces”, feature in the exhibition. Six categories of “spaces”. Image courtesy of nendo. The first space category, between processes, re-examines existing manufacturing processes. 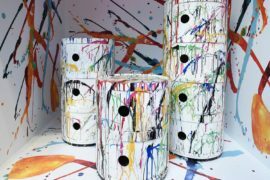 The spaces that exist between each process can in effect serve a purpose, where new methodologies are applied or old processes are revisited. nendo farming-net lamp. Part of “between processes”. Image by Hiroshi Iwasaki via Carpenters Workshop Gallery. The second space category, between textures, considers the gaps between two different materials, suggesting there are no clear-cut distinctions. Instead the space is gradated and “characteristic features waver ambiguously”. 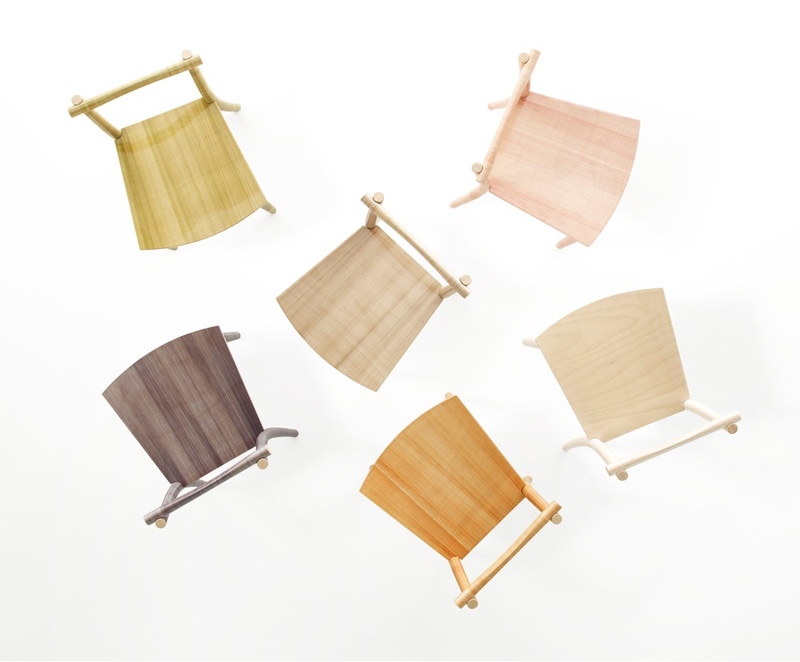 nendo fishline chair. Part of “between textures”. 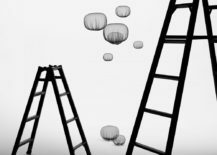 Image by Hiroshi Iwasaki via Moco Loco. The third space category, between boundaries, examines the many boundaries that exist in everyday life: the physiological, psychological, spiritual, emotional and material. New spaces arise when we blur or challenge the lines between these boundaries. nendo pair for Glas Italia. Part of “between boundaries”. 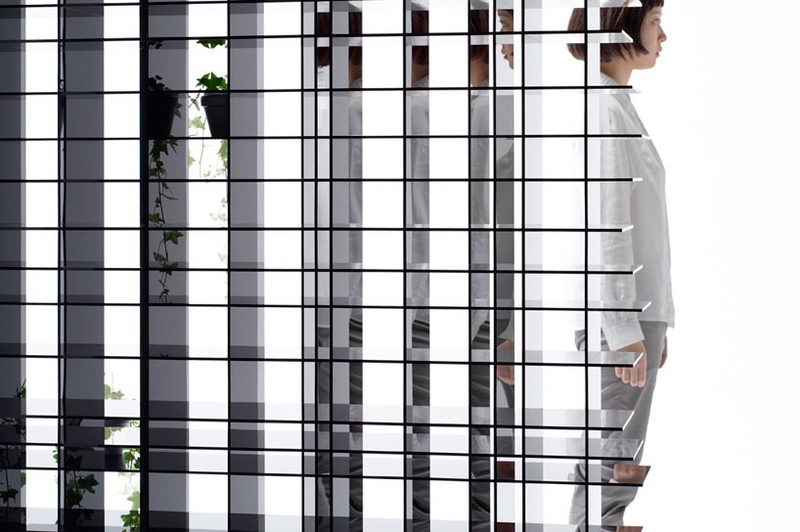 Image by Kenichi Sonehara courtesy of nendo. 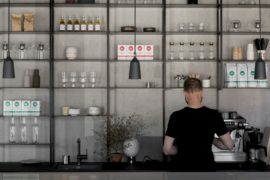 The fourth space category, between the object, looks at the gaps and spaces in objects and reviews how manipulating such gaps can provide an object with new functionality and meaning. nendo scatter shelf. Part of “between the object”. 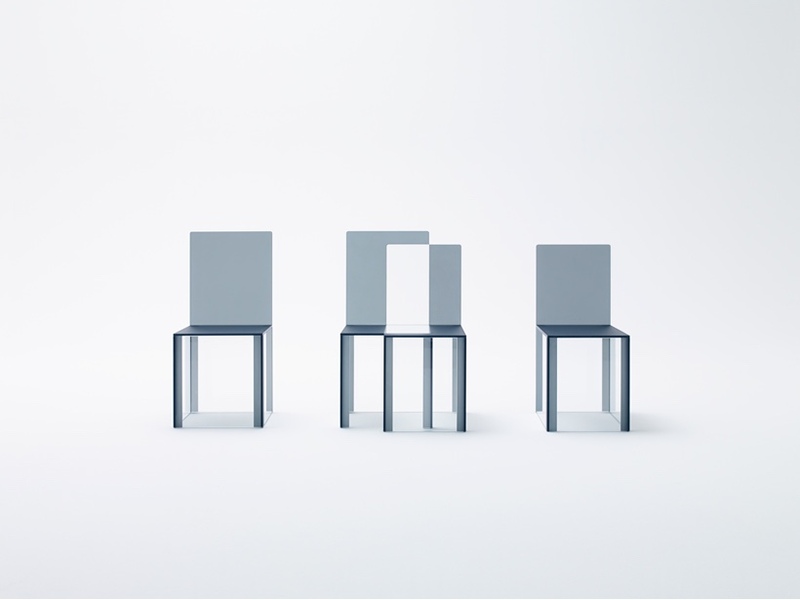 Image by Masayuki Hayashi courtesy of nendo. 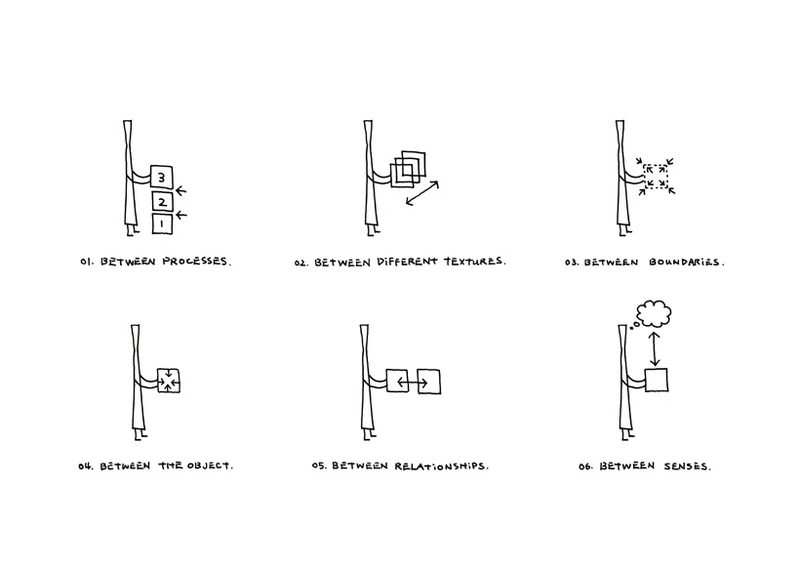 The fifth space category, between relationships, probes the relationships between elements. Breaking or shifting these will then create spaces between relationships, so allowing new relationships to be explored and formed. 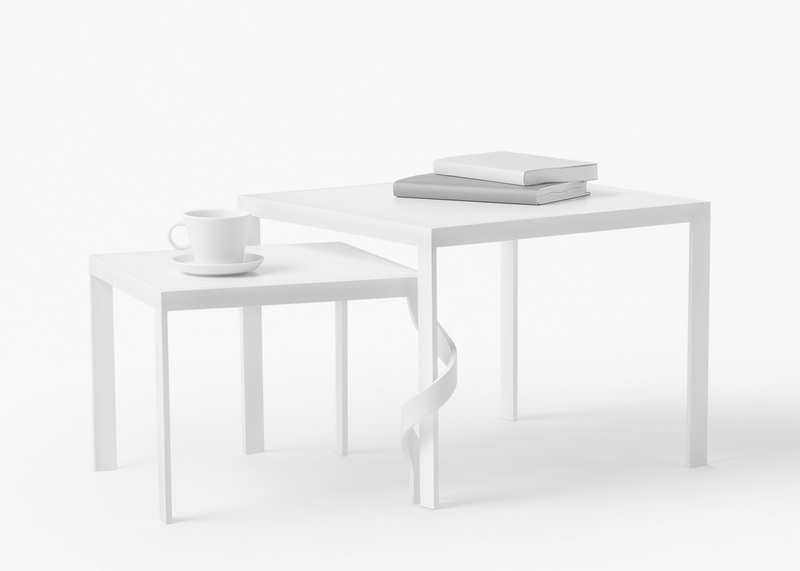 nendo tangle table. Part of “between relationships”. Image by Akihiro Yoshida via Dezeen. The sixth and final space category, between senses, investigates the spaces between the different senses and translates them into an appreciable, tangible form. 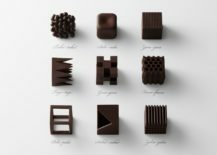 nendo chocolatexture. Part of “between senses”. 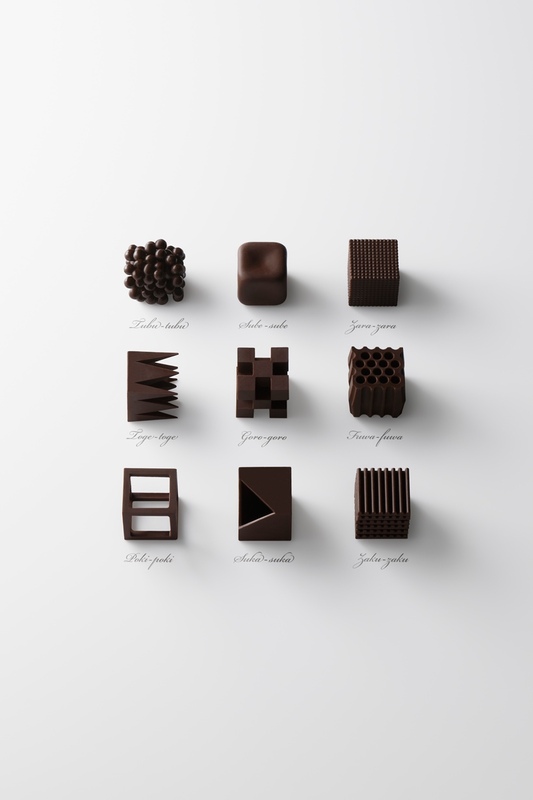 Image by Akihiro Yoshida courtesy of nendo. 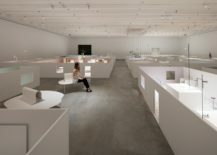 The nendo retrospective has eschewed the usual format for such affairs – typically open museum spaces or rooms divided by walls – and instead opted to display objects within 90cm-high white cubic volumes. 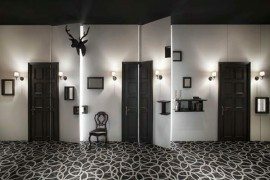 This approach maintains the openness of space and provides a way of highlighting the design perspective of each piece. The interiors of these volumes have different colours that correspond to one of the six space themes. Moreover, the volumes have windows that allow objects to be enjoyed from various angles. The setting has a village-like air, as though each volume represents a small house. 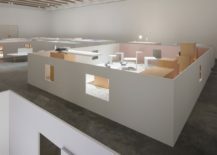 Visitors can walk in the spaces between volumes, peer in at the contents and relax on seating in one of several areas that resemble “public squares”. 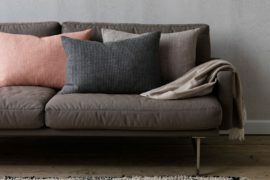 Interiors of volumes have different colours that correspond to one of the six space themes. Aerial view highlighting a selection of nendo’s chairs. 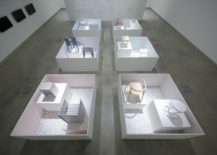 Objects are displayed within 90cm high white cubic volumes. The nendo retrospective enjoys a village-like air. Relaxing on seating in one of several areas that resemble “public squares”. 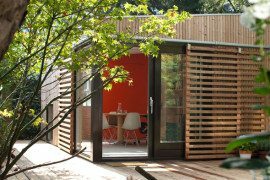 Visitors can walk in the spaces between volumes. Volumes have windows that allow objects to be enjoyed from different angles. Exhibition photos by Takumi Ota via Dezeen. 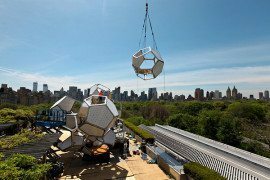 “The Space In Between” runs at the Design Museum Holon until 29th October 2016.